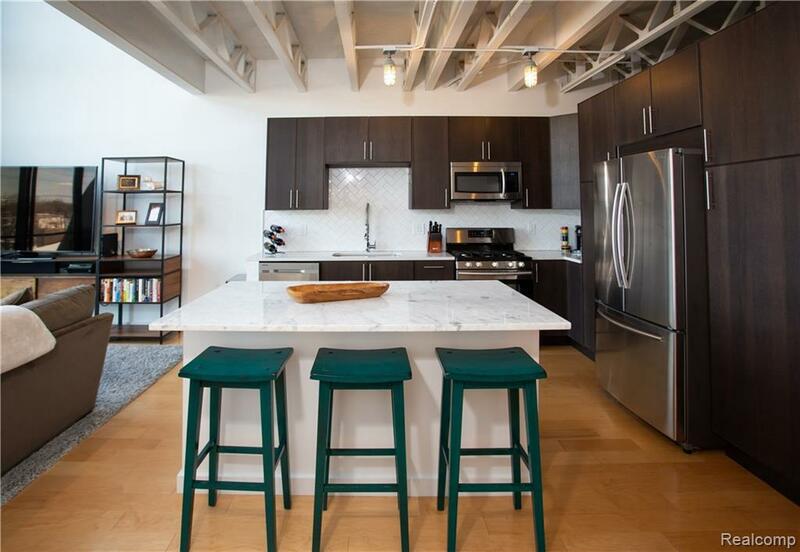 Spacious and luxurious penthouse loft for sale right in the heart of downtown Ferndale. This gorgeous property boasts a multitude of upgrades including a new master bathroom with custom vanity, copper sinks, and floor to ceiling tile shower. 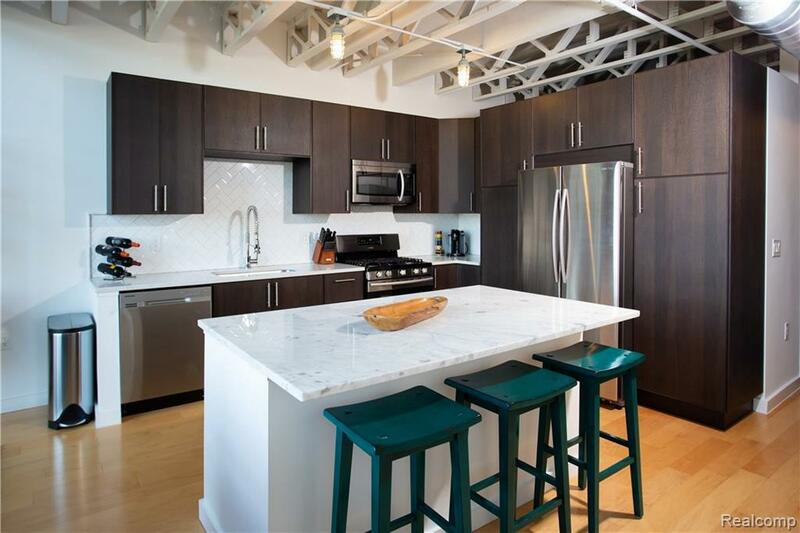 A large custom island with quartz counters made for entertaining, modern dark wood cabinets, stylish herringbone subway tile back splash and stainless steel appliances. 2nd bedroom on the main level with 2nd full bath. Ample storage space in the many closets and large walk in master bedroom closet with upgraded shelving. 2nd floor laundry, Balcony off the living room, and wood floors on the main level. Character features include a barn door for 2nd bedroom, stunning wood staircase, charming exposed brick 2 story wall, and floor to ceiling windows. 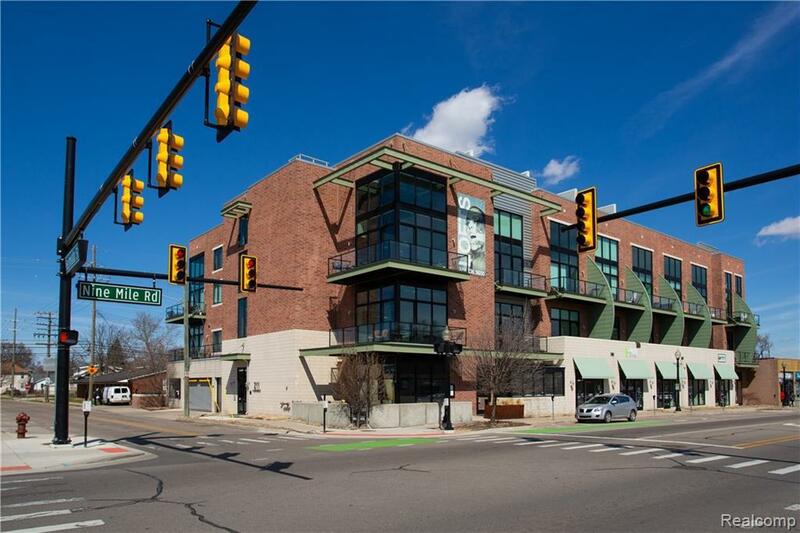 You can not beat the location 1 block away from all of the restaurants, nightlife, and shopping Ferndale has to offer. 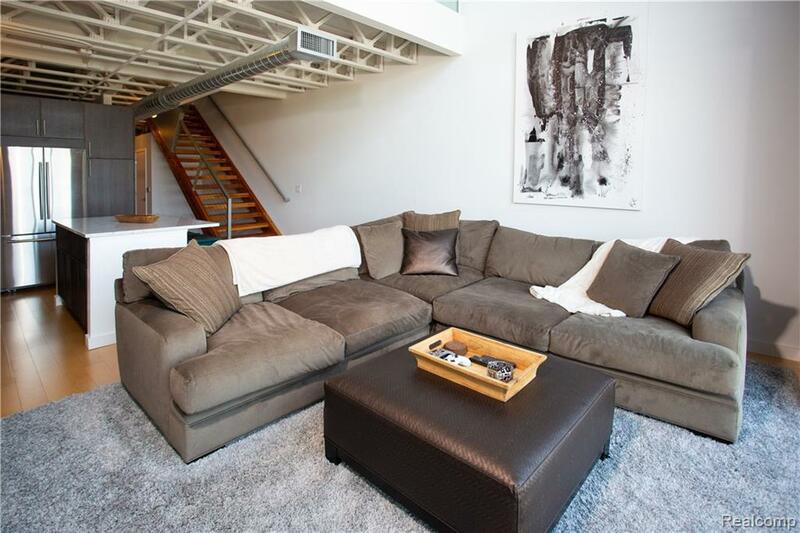 This stylish loft will not last long.